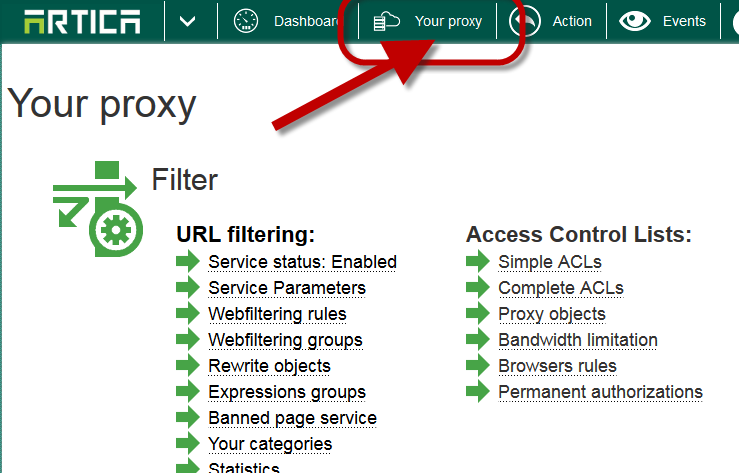 Use a parent proxy feature is used when you want to forward request to an upstream proxy server. 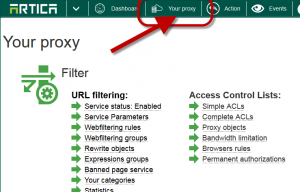 How to define a parent proxy ? 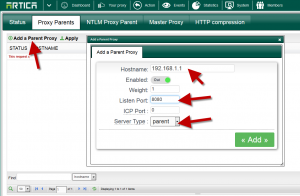 Set the listen port of the remote proxy parent. 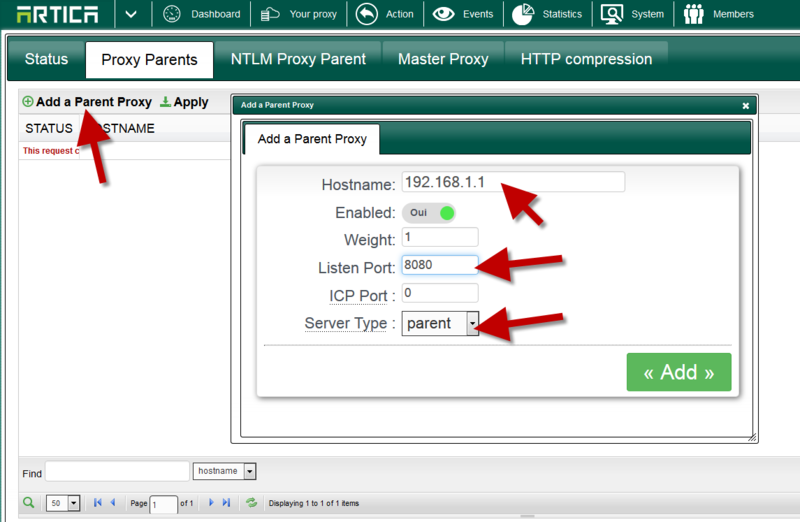 Set the ICP port if it was defined on the parent Proxy. You can add several parents. To make parents available you need to click on “Apply” button.